The Selective En-Bloc Redevelopment Scheme, or SERS, was first launched in 1995 by HDB (Housing and Development Board). The objective is to select flats in the older housing estates, usually more than 25 years old, for redevelopment purposes. Residents of the selected flats are usually compensated at market values and given priorities in the new replacement flats nearby. There are four main groups of public housing in Singapore, namely HDB, SIT (Singapore Improvement Trust), JTC (Jurong Town Corporation) and HUDC (Housing and Urban Development Company (HUDC) Private Limited). When HDB was established in 1960, it gradually took over the role of SIT, its predecessor, in providing affordable public housing for Singaporeans. JTC was started in 1969 for the industrialisation of Jurong. During the industrialisation period, the organisation built numerous JTC flats for its workers. In 1982, the management of the JTC flats were handed over to HDB. HUDC was launched in 1974 for the middle income families but was phased out by 1982. In the same year in which the SERS was launched, HDB also announced the privatisation plans for HUDC flats. As of 2013, more than 70 sites have been announced for SERS, with hundreds of flats demolished in the past 18 years. The SERS of the ten blocks of HDB flats at West Coast Road, built in around 1980, was announced in August 2016, the first SERS of the year and the 80th site selected for SERS. A total of 994 housing units, 14 shops and a kopitiam will be affected in the en-bloc scheme. The replacement units, expected to be completed in 2022, will be at Clementi Avenue 1 and West Coast Link respectively. The rustic and peaceful Dakota Crescent estate, existed since 1958, was officially announced in July 2014 as one of the planned sites for future redevelopment. The 400 residents were expected to move out by 2016. The low-rise flats and shops at the old Woodland Town Centre, completed in 1980, were chosen for the SERS in 2012. The vicinity had been planned for redevelopment, particularly for the construction of a new extension of the Woodlands Checkpoint. In March 2017, the site of the old Woodlands Town Centre was acquired by SLA. By November, its residents had to vacate the place. The old town centre was officially closed on 30 November 2017, marking the end of its 37-year existence. Three blocks of Clementi Avenue 5 flats were announced for SERS on 13 February 2011. The 41-year-old blocks – they were completed in 1977 and their leases began in July 1978 – were in a highly sought-after location within the Clementi New Town, where the Clementi MRT station is a short distance away. The flats stood in a bustling neighbourhood filled with many shops and eateries. The nearby Block 328 is also well-known for its rows of aquarium shops, also known as local fish shops, that are patronised by many hobbyists. By August 2018, most units at Block 321, 322 and 323 were vacated, as the majority of the residents had moved to their first choice replacement flats at Clementi Cascadia at Clementi Avenue 3. The six blocks of JTC flats at Boon Lay Drive were selected for the SERS program in 2011. About six years later, they were vacated as the residents moved out by the mid of 2017. Many of the JTC flats at Boon Lay were demolished in the eighties and nineties; in their places now are the new HDB flats. The Redhill Close flats, or commonly known as chek lau (seven-storey in Hokkien), were built in 1955 by SIT. 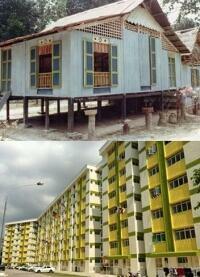 Started as rental flats, they were built to accommodate the lower income families living at Bukit Merah. Designed with trapezoid roofs and curved facades, the flats retained a colonial flavour in the pre-independence days. Many families have lived at their Redhill Close homes for decades. The 21 blocks of SIT flats are expected to be emptied by 2017, much to the displeasure of its residents. The four low-rise flats at East Coast Road, the only public housing in this vicinity, were built by the HDB in 1962 for the resettlement of the villagers who lost their homes in a big fire at Siglap. As East Coast was developed to be a prime area filled with landed properties and condominiums, it became obvious that the 50-year-old flats had to go sooner or later. In November 2011, the East Coast Road flats were placed under the SERS list, and were demolished five years later. The famous zhup lau chu (10-storey buildings) at Tanglin Halt, built in 1962 and once featured on the back of the 1-dollar note of the Orchid series, were announced as a SERS site in August 2008. By late 2013, most of the flats, shops and eateries were emptied. In 2014, another 31 blocks in the Tanglin Halt vicinity were also announced for SERS. Built in the 1950s by SIT, such low-rise Art Deco-styled flats had become rare in a modern Singapore; the other similar ones still existing are located at Tanglin Halt. The blocks of flats at Teban Gardens Road were among the first public housings to be built by HDB in the Jurong East and West Coast vicinities. Before its construction, this area was a large mangrove swamp that extended from Sungei Pandan. It took years of land reclamation to fill up the swamp and extend the coastline. In 1964, JTC established the small housing estate of Taman Jurong, and quickly followed were Boon Lay Gardens, Teban Gardens and Pandan Gardens in the early seventies. The Teban Gardens flats, however, were built by HDB in 1978 after development plans for a Jurong East New Town were drawn. The ten blocks of flats at Teban Gardens were vacated by early 2013. Almost all the residents have shifted after getting their SERS notice as early as 2007. In the late seventies, the standard concrete slab block design of HDB flats were duplicated in new towns such as Ang Mo Kio, Clementi and Bedok. Each housing district is usually made up of a cluster of slab blocks with two-, three- and four-room units and one or two point blocks of five-room units. The standardised aluminum door grilles, window panes and double-stepped doorways at each unit lined up along a common corridor were common features found at these flats. Table-tennis tables, badminton courts and basketball courts were common sport facilities within the housing estates. In between the blocks, there was even a field for the elderly to play a sport similar to croquet or gateball. The construction of the long Commonwealth Avenue West in 1977 had improved the accessibility between the housing estates of Buona Vista, Dover, Ghim Moh and Clementi greatly. By then, the Ghim Moh flats were newly completed, providing housing needs for the residents working at the western side of Singapore. The huge curved bluish flat (Block 92) at the junction of Havelock Road and Zion Road had been an iconic landmark since its completion in 1973. It had witnessed the decline of the Great World Amusement Park in 1978 and the rise of the Great World City in 1997. The flats at Yung Ping/Yung Kuang Road were some of the remaining JTC flats in Singapore. An unique aspect was the common lift system shared between two blocks of flats. The large L-shaped Block 20 of Upper Boon Keng Road was originally one of the two blocks of flats, the other being Block 19, standing near the busy junction of Sim Avenue and Sim Way. Built in 1975, the 30-year-old block was designed with red-bricked sides and distinguished levels in its facade. In November 2005, it was announced as a SERS site, and was emptied by 2012. The flats at Sims Drive belonged to a quiet peaceful neighbourhood for the past 30 years, sandwiched between parcels of industrial estates along Aljunied Road and Kallang Way. In November 2005, six Sims Drive blocks, numbered 54, 56, 57, 59, 60 and 62, were announced for SERS. Curiously, Block 55, standing between Block 54 and 56, was left out. The Clementi Town Centre has been undergoing a transformation in recent years, and it is inevitable that the older buildings are to be replaced by newer ones. Block 445, one of the low-rise flats in the vicinity that were built in 1980, was selected for SERS in March 2005. By 2012, the area was cordoned off, ready for demolition. Built in 1972, the block of 27A stood at an convenient location directly opposite of the Queenstown MRT Station. The eighties was arguably its golden era, as it was part of a self-sufficient Queenstown estate with cinemas, library, supermarket, schools and community centre. Like its neighbour, the Margaret Drive Block 6C, it was demolished between 2011 and 2012. The cluster of five 15-storey HDB blocks at Bedok South Avenue 3 were built between 1977 and 1978, where they were made up of a mixture of 3-room (majority), 4-room and 5-room units. The residents were notified of the SERS program in 2004. They were given options for the new HDB flats built at Bedok Central. After the flats were vacated, the HDB blocks were leased for several years to foreign workers, with some of the units at Block 46 and 50 reserved as interim rental flats for Singaporeans in need. By 2018, the five blocks became vacant once again and were locked up, as they await for their eventual outcome. It took only a few weeks for the Dover Road housing estate to turn from a busy neighbourhood with crowd-filled kopitiams and hawker centre into a ghost town. By the end of 2010, the flats had became vacated. Two years after its abandonment, the estate came to life again with the units put up for rental for the foreign students. In January 2003, four aging blocks of flats at Toa Payoh Lorong 5 and 6 were chosen for SERS. Built in 1969, the most famous block in recent years was perhaps the one with the iconic dragon playground standing in front of it. One after another, the twelve shops and kopitiam at Block 30 ceased their operations in 2006. Two years later, residents began to move out; some of them were relocated to their new flats at Toa Payoh Lorong 2 and Jalan Tenteram. Some of the units were then temporarily used as dormitories for the foreigners working at the Sentosa Resort World when it was first started. By mid-2013, the four blocks of mostly three-room units were finally emptied. The iconic dragon playground, though, becomes a hot topic of debate recently, as it is the only original sand-based dragon playground left in Singapore (the other three are either smaller dragons or rubber-mat type). Many have expressed support for the preservation of the old playgrounds that had given precious childhood memories to the previous generation of Singaporeans. The three blocks of 29, 31 and 33 at Havelock Road and Taman Ho Swee had been listed for SERS since February 2003, but it was only a decade later before the demolition started. Interestingly, Block 29, 31 and 33 were the only odd-numbered blocks at Havelock Road. The remaining blocks, all even-numbered, are clustered at the stretch nearer to Lower Delta Road. The slab block of 29 of Havelock Road was perhaps the most eye-catching flat along the driveway, with its facade designed with alternative squarish blocks painted in green, yellow and white. It also stood beside Isetan Office Building, which houses the popular Havelock Road branch of Ah Hua Bak Kut Teh. The en-bloc Taman Ho Swee blocks stood on a small hill behind Block 29. Even though the three blocks were located close to each other, Block 31 and 33 were named after Taman Ho Swee, a short road off Jalan Bukit Ho Swee. All three blocks in the vicinity, as well as some of the nearby flats, were built in the late sixties to accommodate the residents who lost their homes in the fires that plagued Bukit Ho Swee in 1961 and 1968. One of the designs of public flats at Bukit Ho Swee in the late sixties and early seventies include a long narrow corridor with units facing each other, creating a gloomy and suffocating surrounding. This unpopular design was discontinued in the designs of public housing years later. In the seventies, the HDB built several small housing estates, known as Rural Centres, in different rural areas of Singapore to resettle the farmers. One of them was the Jalan Kayu Rural Centre. The flats in these rural centres were generally three- to four- storey tall, and consisted of retail shops, hawker centre and wet market to provide self-sufficient means for the residents. The region around Seletar West Farmway had witnessed rapid development in the nineties. By the new millennium, other nearby farmways were already incorporated into the new towns of Sengkang and Punggol. Likewise, the flats at Seletar West Farmway were due to be demolished, but due to changes in the redevelopment plans, they were re-used as foreign worker dormitories instead. The flats were eventually torn down in 2016 for the development of new Fernvale flats. Like the Jalan Kayu Rural Centre, the Neo Tiew housing estate was another rural centre built by the HDB in the seventies. Also known as the Lim Chu Kang Rural Centre, there were three blocks of low-rise flats in the vicinity, completed with shops, playground, hawker centre and market. In October 1998, the blocks were listed for SERS. By 2002, most of the residents had moved out; many of them took up their priorities to the new flats at Jurong West. The abandoned estate was later taken over by SAF for their FIBUA (Fighting in Built-Up Areas) training exercises. The iconic 14-storey Forfar House at Strathmore Avenue was the first public housing to be announced for SERS. Built in 1956, the SIT block was named after Royal Borough of Forfar, the hometown of Queen Elizabeth’s mother. When completed, it was the tallest building in Queenstown, and many local nicknamed it as zhap si lau (fourteen storey). In later times, the flat also gained a notorious reputation as a suicide block. Today, its site is occupied by the 40-storey Forfar Heights. Refer to the official HDB InfoWEB for other announced SERS sites between 1995 and 2009. Also read From Villages to Flats (Part 2): Public Housing in Singapore for a brief history of SIT, JTC and HDB flats. This is really a great article! I also have a habit of spotting these old flats, which forms part of my childhood memory of Singapore. Sometimes it can be sad to see these flats torn away. Personally, I had many wonderful memories at my aunt’s place at Boon Tiong Road, the very first series of flats selected for en-bloc redevelopment. Why not also trace private condominiums that are demolished / to be demolished? That will be interesting also. Hi, I love this article as it reminds me of the old block I used to stay at before it was torn down. But I noticed that the article section on Margaret Drive blocks are kind of inaccurate. The 2nd picture of the HDB block was actually Blk 39A, not Blk 6C. I believe the 1st picture should be same as well. Would you please amend? Thank you. What are the block numbers that were demolished? Blocks 18 – 22 with explosives. Block 1 – 17 Queen’s Close as well just across the road. That was in 1987/88. Did anyone noticedbon the right corner block, looked like someone on the top floor. Yeah I noticed it..I use to stay in Queen Close as a child. Many fond memories..Anyone here from Queens Close too? Look! It’s BLK 20 Upper Boon Keng Road! Hope you can include a section on Rochor Centre, which is one of the first HDB residential development to be built with a commercial podium below. Also, Blk 5 Geylang Square and Blk 6 Upper Boon Keng Road were blocks built with factories at levels 1 and 2. Very unique and believed to be the only ones built. These two blocks were demolished in 2000 and 2009 (approximate) respectively. I remember the near demolished look of Blk 5 Geylang Square when i passed by on the MRT. I still remember only a small section of the stairwell remained when i passed by. No one talks about lorong limau block 78 and 79 one room rented flats. Yes, while taking a stroll to Whampoa to see the ‘Dragon” water fountain (fill with grass instead of water now) near Blk 85, I saw that these 2 blocks were already gone (by June 2013 maybe). The site is readying for new construction now. The flats there should hailed from the early 1970’s, and there’s a 24hr NTUC Fairprice branch at Blk 80. But the above mentioned 2 blocks are now listed under any SERS list? Just took a stroll along the en-bloc flats of Blk 28/30/32/33 at Toa Payoh Lorong 5/6 this past midnight. Saw that Blk 33 is in the process of been cordoned off with green mesh nets. A heavy vehicle is parked at the carpark behind Blk 32 too. The corridor lights of a whole section of Blk 32 (L-shaped) had gone out. Went back to the SERS site above past midnight. Blk 30/32/33 were largely cordoned off. But if you’re nimble enough, one can still step over the orange coloured nets to take a closer look; else one can entered via the pavement near the dragon playground/Blk 28. The lights at Blk 30/32/33 were totally shut-off, throwing these parts into total silence & darkness, save for the lights beaming in from the main road, from the full moon shining overhead, and the muted buzz from crickets’ calls. Parts of the adjointing carpark were sealed off too, awaiting demolition. As for the grand old trees lining the vicinity (covered with ferns, vines and having trunks’ diameters at above 1m), one wonders if they’ll still be standing when the flats are gone? One cannot help but feel like it’s akin to witnessing the life support system being taken off from a terminally ill patient, with loved ones keeping vigil till death claims the body and soul of the departed. The unearthly stillness & calm behind Blk 30, as well as in the park beside Blk 33 after nightfall should make for a spook-tecular spot for Halloween. Scare fans should seriously hurry as preparation for demolition is proceeding rapidly. Blk 33 is already covered up with blue mesh nets. The final countdown will eventually reach Blk 28 & the dragon playground. Soon these iconic landmarks will ceased to be around for drivers entering/leaving Toa Payoh via PIE. Do anyone still recall the Adrian Lim child ritual murders of early 1981? According to Wikipedia, the crime scene was at a corner unit on 7th floor of Blk 12, Toa Payoh Lorong 7. Adrian & his two ‘holy’ wives were staying there when the murders of the two young kids took place. I tracked down the unit earlier this month. If this was the correct spot, it’s currently being occupied by a group of Indian FW’s. Hardly any locals will opt to stay in a unit with such a tragic past. With the 25th anniversary of the execution of those found guilty approaching (Nov 1988), Blk 12/13 are still standing tall, since 1970. Some of the surrounding blocks that were standing in 1981 had already made way for the new Blks 10/11/14 since the late 90’s. I noticed certain ground floor units of Blk 28/32 allows a glimspe into the interior – windows opened, main door (ajar), metal grille gate (locked). One can make out the arched doorway into the kitchen, and then what seems like a back door at the end. The erection of hoardings is reaching Blk 28. Based on the boundary marked out, it seemed that the dragon playground will be spared (for now). It also appeared that the all the blocks will be ‘wrapped-up’ first before proceeding with actual demolition. I also passed by the en-bloc flats along Clementi Avenue 1 Blks 401 to 404 and 407 to 409 (announced for SERS on 28 Jun 2007 as per HDB InfoWEB). The premises had already been vacated. As for Blk 445 it’d been demolished by early 2013 I think. The old Empress cinema was gone as well. A water fountain stood where Cityvibe (“Jin-Man-Di”-the smaller mall beside Clementi Mall) is standing now..I believe it was demolished by the mid-noughties to make way for construction. I was reminded of it from another old photo of AMK Emporium in the 1970’s. Just to clarify, as of this date Clementi Blk 445 is just starting to be cordoned off for demolition. The current construction site to its right side coming out from interchange seemed to be on a patch of land that was empty previously. Blk 436-438 (SERS 28 Mar 2005) were already gone, with the demolition site now covered with earth. Blk 311-314 (SERS 12 Aug 2000): Ongoing new construction for HDB.on original site. While the cookie cutter old flats at Clementi is not as iconic as those at Zion Rd or Taman Jurong, their final fate is a reminder that (in S’pore at least) change and progress is ever present and unstoppable. A number of old private condominiums/housing had made way for new developments in recent years.IMO, the collective memory factor will never be felt as strongly as those for public housing and other amenities enjoyed by the masse. The value in remembering this particular class of buildings lies in their design and exterior facade, which tells the story of the era when they first came into being. A lot of them are beautiful and unique in appearance, examples of which are found along Farrer/Holland Road area. The older ones should hail from the 1970/80’s, and might had featured in old SBC/TCS shows =). Will we or our younger generations be feeling such nostagia when current/upcoming developments make way for further waves of urban renewal in future decades? With lesser freehold properties launched, I guess we will see more en-bloc programs in the future (even existing freeholds are not immune to en-bloc or government acquisition). As for HDB, most of them are 99-year lease, so they are even more prone to en-bloc after 30 years or so. It appeared that the main ‘look’ of private residential properties completed since the late 2000’s is that of glass & metal with minimal concrete – sleek, impressive but somehow soul-less, like a robot. Certain older properties look dated, lacking in features but exudes personality. Leong Bee Court (1986) – enbloc & demolished during Q2 2013, has a strong angular facade. It sits along Upper Serangoon Road towards Potong Pasir MRT. It’s neighbour Woodsville Mansion (1987) is still standing. The facade has smooth rounded corners, i.e. for the units’ balconies. Similarly, the design & look of HDB flats evolves with each decade. Update: Blk 55 officially closed on 28 March 2018. Rental flats were recovered on that day, and gates all locked. Ghim Moh Road (Blocks 9 to 12, 9A and 12A) [HDB SERS: 8 Dec 2006] is currently undergoing demolition. As of now, Blk 9A had been knocked down till the last 3 floors, while Blk 9 was totally concealed by grey safety screen nets. Hoardings erected had sealed off the entire perimeter of the blocks and carpark. The main entrance affords some last few glances within the site whenever it’s open for access to demoliton workers and vehicles. The entire walkway linking the Buona Vista MRT underpass to the affected site will be closed off to pedestrians from 30 Oct 2013, as per pasted notices. The ‘garden’ facing Blk 12A is so overgrown with vegetation that it looks like a secret garden of sorts. In these last moments one can sit on the available wrought iron benches to savour the quiet & silent nature while time stood still. A decade ago, I was here during flag day; right now the heavily tarnished external facade of the blocks says ‘slum neighbourhood’ instead, as compared to other SERS comrades which looked dignified and less neglected. Across Ghim Moh Road, the sleepy, laid back pace of life goes on. Scarce pedestrians dotted the market area around Blk 20/21, as evening peak hour roars on at the MRT station. The brown/grey coloured facade of these surviving flats (Blk 6/7 etc) and the clock tower of Ulu Pandan CC helps add flavor to the ‘forgotten enclave’ vibe of the place. Lastly, a throwback to ‘Old Kampong’ as an old lady is still selling newspapers & stuff in a dimly-lit, make shift wooden ‘store’ in between the MRT station & underpass (in use from Nov ’88 – by PWD). 1. Where: The row of shophouses (since pre-war?) along Upper Serangoon Road (towards city; after Potong Pasir MRT station) and Jackson Centre. When: Demolished by end-Q2 2013. What (was hot): Jackson Centre had some great eats..seafood anyone? Now: New launches of private residences (Sennett Residences & Sant Ritz) ,and Venue, an upcoming commercial/ retail development. 2. Where: 943-951 Serangoon Road, which is 2 blocks of 3-storey shophouses/living units, the row of terraced houses behind each above mentioned block (943D-J; 945D-K). When: As of now, erection of hoardings around the entire site’s perimeter is almost completed. Vacated since early Apr 2013. Also featured long, external spiral staircases. 2013; the latter’s site is now an empty grass patch. (The former premises’ image is still visible on Google Map). What (was hot): Two Muslim food outlets (Adam’s Corner & Yassim’s Restaurant) operated from late night till dawn daily, serving supper to workers who just ended work and for late night gatherings (the night life factor). Now: Unknown. The adjointing empty field that’s opposite Blk 11 Saint George’s Road has a “STATE LAND” signage. 3. Where: Old Admin Block, NUS (beside Central Library, leading to Arts’ Faculty). Actual name is ‘BLOCK ADMIN’. When: As of now, erection of hoardings around the entire site’s perimeter is in process. Site cordoned off since 14 Oct 2013.
since Kent Ridge Campus was in use from early 1980’s. Was this the first Admin Block before the office shifted to Engineering and later to its current site overlooking NUS Sport’s field? 8. Teban Gardens Blk 2-11: Passed by & saw the SERS site being enclosed by green wire perimeter fence. Maybe there’re alternative plans for the site? 9. (a) Holland Drive Blk 14-17, 22-23: Blk 14-17 have being demolished. The 2 point blocks of 22-23 are being prepared for demolition by having the units’ glass windows removed. An observation is that the notice description at the demolition site’s entrance stipulated that expected completion date was Dec 2012. Maybe the schedule had been pushed back to allow residents more time to shift out? (b) Buona Vista Swimming Complex will be permenently closed IN Feb 2014, according to the notice at the entrance. Patrons will be diverted to nearby locations at Queenstown or Clementi. These are all part of the plan to redevelop the Holland Village area in the coming years. For e.g., the current blk 18A-C & MSCP (completed in 2012) stood at where Blk 18 & 19 (SERS/5 Dec 1996) used to be. 10. Zion Road flats: Currently Blks 89-91 were already gone; Blk 92 was demolished till the 6th floor and Blk 88 was in the midst of being wrapped up for demolition. 11. Boon Lay Drive Blks 180, 181, 182, 184: The flats were long gone; the replacement flats (Blk 182, 183A-C) are kind of ready for residents to shift in. It seemed that this site’s progress is quite advanced, in terms of initial demolition to construction of new flats, despite barely 8 years passed since the site was placed under SERS (22 Mar 2006). 12. Boon Lay Avenue Blks 216, 217, 219, 220: The demolition work was only recently completed. Debris was almost cleared up. 4. Clementi Blk 445 was totally demolished by 30 Nov 2013. 5. Clementi Blk 401-404, 407-409 might commence with demolition during early 2014. The adjointing carpark had been cordoned off from 26 Nov 2013. Blk 405 (1-rm units) & 406 (2-rm units) are accessible. Some units are still being occupied in Blk 406 (i.e. 11/12 floors). Peeping thru the open window grills,the empty units are totally bare with cement flooring. The electric/gas meters have also being dismantled. Some former residents have shifted to Casa Clementi across the road? Clementi swimming complex looked un-ultilised on a weekday evening. 6.Sims Drive Blk 59 was already gone; Blk 57 & 60 was ‘wrapped up’ & ready for demolition. Blk 54/55/56 are still occupied (as rental units? ), while their ground floor surroundings & the whole Blk 62 looked truly desolate, save for some commuters passing by, and some old men chatting in the dark seated down. 7. Ang Mo Kio Blk 250-252 were already gone. The site will see the erection of 2 26/28 level flats (Kebun Baru Court) to be completed by early 2017. Life goes on at blks 244-249. Blk 259 – the clover shaped building still look exclusive, sited on a lush, quiet neighbourhood. Item 2 in my last update – the St George demolition site was totally reduced to rubble as of 13 Dec 2013. I also notice that the locality map showing bus routes at bus interchanges have been updated as of latter 2013 from the last one as of late 2011. Certain upcoming developments (some formerly SERS sites) will be depicted as ‘U/C’ on the updated map. When did Queen’s close of Block 1 to 22 demolished? anyone has any info of the HDB flats at Boat Quay (where the Clarke Quay Central is located today) in the 70s and 80s? My aunt used to live at the top level of blk 28 in toa payoh during the 70s to early 80s. I’ve stayed over a few times and played in that iconic dragon playground with my cousins. Back in the 70s most of my aunties and uncles (families were huge) lived in toa payoh. It was a new town with many young families. I went back recently to try to take some photos of the zig zag block and the playground before its demolished but I was too late, the block has been cordoned off and soon that playground that was listed as one of the best in the world will go with it. Goodbye an old friend, thanks for the great memories. 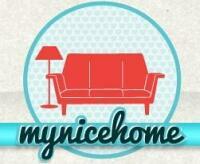 Hi, can I check did your aunt take up the new flat given by HDB? I need some info wonder if you can help me to check? Did you rememeber how the lifts used to look like? Hillview HDBs were demolished in 2005. Heavy construction equipment has been moved into the carparks next to blocks 4-6 and blocks 1-3. The windows were being dismantled already. It’s going to be a long slow process. The demolition was completed. Now it’s a large piece of grass field. I used to stay at Clementi Ave 1 block 409 , its i moved there at 2004 and left at 2012 . miss those moment staying there. Block 407 was used to film The Lion Men local film few months back ! how do i share a photo? blk 33, 31 demolished already. Anyone knows where did the residents of blk 28 toa payoh have been shifted to? Block 58 Geylang Bahru had a very sad crime in 1979, is the building still there? Whoever had committed the murder will never rest in peace. May the souls of the faithful departed rest in peace. When is the exact location of Block 5 New Bridge Road and Blk 110 New Bridge Road? When were Blk 5 and 110 New Bridge Road built? Are you aware that some blocks in Hougang (built in 1970s) were demolished? Is boon lay place going to en bloc too? I’m wondering where this particular flat is and if it is already gone. Anyone used to live there? Were they also under the SERS scheme? Oh man! I cannot find Blk 94 and 96 Henderson Road anywhere! Blk 54, 56 and 62 Sims Drive were not demolished yet. Blk 57, 59 and 60 Sims Drive were demolished. Where is Blk 58 Dims Drive? Used to stay in Blk 58 as rental flat when young. My dad was asked to move out around 1984/1985. If remembered correctly Blk 58 got demolished after 1 to 2 years later and when I went to re-visit again is just a field of grass. So Blk 58 Sims Drive got demolished in 1986. How many storeys are there in Blk 58 Sims Drive? Yeah is it low rise or high rise? Just passed by the Sims Drive flats a few weeks ago. Blk 62 is still standing, with Blk 54, 55 and 56. You might want to visit that estate again, as the last block still occupied, block 55, is going to be vacated soon! (Like in less than 1 month). You might want to go around and snap some pictures of the estate before it has to make way for development. Ten years after they were first earmarked for redevelopment, four blocks of flats in the mature Ang Mo Kio estate are finally facing the wrecking ball. Come February next year, Blocks 246 to 249 in Ang Mo Kio Avenue 2 and Avenue 3 will be torn down to make way for new homes, The Straits Times has learnt. The open-air carpark between these yellow and white 12-storey blocks, which are 39 to 40 years old, will also be demolished. Most of the soon-to-be-vacated site, just next to Mayflower Secondary School and across the road from Bishan-Ang Mo Kio Park, is zoned for residential use under the Urban Redevelopment Authority’s latest masterplan in 2014. A smaller area within it has been marked as a “reserve site”, which means the specific use of the land parcel has yet to be determined. The 42,584 sq m demolition site, about the size of six football fields, will be boarded up for safety, a Housing Board spokesman said in response to queries. According to tender documents, the demolition project is estimated to cost $800,000 and is expected to be completed by September 2018. The four blocks, along with adjacent Blocks 250 to 252, were placed on the HDB’s Selective En bloc Redevelopment Scheme (Sers) in June 2006. Under this scheme, old blocks are demolished and residents are offered new replacement flats with a fresh 99-year lease at subsidised prices. All the residents had moved out by the end of 2012 and many relocated to newly built blocks nearby, in Ang Mo Kio Avenue 1. Blocks 250 to 252 were demolished in 2013 and new flats are currently being built in their place. Blocks 246 to 249, however, were given a new lease of life as rental homes in 2013. Blocks 246 and 247 are on the HDB’s Interim Rental Housing Scheme, which provides needy families with temporary housing at subsidised rates while they search for longer-term homes. Meanwhile, Blocks 248 and 249 are being used for the Parenthood Provisional Housing Scheme (PPHS), which provides temporary homes to families waiting for their new flats to be completed. These tenants will be provided with alternative homes if they still need temporary housing as the demolition date approaches, HDB said. Some 72 Sers projects have been completed since the scheme’s inception in 1995. The last demolition project under Sers was carried out in December for Blocks 407 to 409 in Clementi Avenue 1. While most Sers blocks have been demolished, some, like the four in Ang Mo Kio, are still standing as they are not required for immediate development. Blocks 1, 3, 5, 7 and 9 in Boon Tiong Road, for instance, were part of the first Sers project. But the flats there are now being rented out under the PPHS. Chef Melvin Tan, who is renting a three-room flat at Block 248 while waiting for his new Toa Payoh flat to be built, told The Straits Times the HDB had informed him about the demolition. The 43-year-old, who lives with his wife and two children, said he will miss his current neighbourhood. “It’s very convenient. We can just cross the road to Bishan-Ang Mo Kio Park. I always take my children there to play at the water playground,” said Mr Tan. Retiree Maniam Ramasamy, 80, who used to live in Block 246, said he is sad to see his old home go for good. “I lived there for 33 years and had many good moments with my family,” he said wistfully. Seems to be some delays. All the blocks were only fully vacated in Mid-March and estate only sealed off for demolition in July. Hi, i’d like to know if blk 19 upper boon keng road will be under en bloc anytime soon? Blks 246-249 & surface carpark in AMK Ave 1 are still around (as of today), just that staircases & lift lobbies are sealed off. Residents have moved into the new BTOs in Kebun Baru Court (formerly site of Blks 250-252). They were all vacated by Mid-March, with block 246 being the last block to be occupied. The carpark was sealed off by June and estate starting demolition in July. As of now, blocks 247 and 249 has tarpaulin sheets wrapped around it. The carpark is being dugged out and there is a lot of bright orange dirt. The Tanglin Halt flats (Commonwealth Drive block 74-80) are currently in the midst of demolition. The demolition of the Bukit Merah View HDB Flats (Blk 110-114), announced for SERS in 2009, are almost completed. Any updated news regarding St.George’s lane block? Do you mean Sims Drive? If so, all the other ownership blocks left, Blks 54, 56, and 62, were vacated by late 2016 and the flats are falling into s state of disrepair. Blk 55, a rental block and the only block in the area left occupied, has the last few residents moving out next month and the corridors are starting to get empty. Though many people park their car in the estate’s carpark. Blk 110-114 Bukit Merah demolished? Yes. Already. They were all vacated by late 2015 and sealed off for demolition in early 2016. Now it’s in its final stages of demolition. Just to let you know, the blocks in Boon Lay Drive were only fully vacated in mid 2017 by June, and not in early 2017. But resident said started vacating in late 2016 when the keys were ready to be collected. Just to let you know, the Boon Lay Drive JTC flats were fully vacated in mid 2017 (June only), and not early 2017. The residents started moving out in late 2016 when the new keys for the flats were ready. Btw did you feel scared while visiting the flats? 1. Bedok South Blk 46~50 will cease its purpose as Interim Rental Housing after 30 Apr 2018. Only a few tenants have yet to vacate their rental units. 2. The Bedok Swimming Complex was vacated & drained since Aug 2017. This land plot is slated for future residential developments. 3. Sims Drive Blk 55 was already locked up from 22 Mar 2018. It was the final block among Blk 54, 56 & 62 to be cleared of rental tenants. Sims Urban Oasis (former Blk 57, 59 & 60 were sited on that land) had TOP in 2017. Workers (construction, maintainance etc) tend to rest along the void decks of Blks 54/55/56/62 during the construction phase of the above mentioned private condo. 4. Dover Estate Blk 38 & 39 are covered in blue netting (and awaiting demolition) and are visible along AYE. 5. AMK Blks 246~249: Demolition almost completed. Left with rubble clearing. 6. Old low rise buildings in the industrial zone along Kallang Way 1 (quite a large plot!) were starting to under go demolition. 7. The row of terrace houses near Mattar mrt station was almost totally torn down. The houses were acquired by the State & residents finally cleared out in 2017. ~A new cycle of construction & rejuvenation will take place once the above mention sites are cleared. 8. Clementi Blk 321-323: Many residents had already shifted over to their new replacement flats at Clementi Cascadia (formerly the site of the old Blk 439 & 440 & the temporary bus interchange). Many units had been cleared & handed over to the State ie The SERS Acqusition notice pasted on the doors). 9. Dakota Crescent old SIT Flats & Seal Playground still intact as of today. Correction: Blk 55 sims drive was actually fully locked on 28 March 2018. Although the gates had notices stating it would be closed on 22 March, only the stairwell closer to lifts A & B were locked as of my visit on 25 March. I went there on 27 March to take more footage of the lifts being a lift enthusiast, and the gate closer to lift A & B were still open. On 29 March however, that gate was closed and the pay phone on the ground floor removed. I also saw a notice one one of the units stating that the remaining flats would be recovered on 28 March 2018 and it states that the owners should clear all remaining items by 27 March 2018. I have a picture of it, but I do not know how to send it. Correction: It as the gates closer to lifts C & D that were closed first. Btw, it seems that Blk 56 was not used for interim rental housing ever since its ownership residents vacated. Google Street View 2015 shows that the gates at the stairwells were locked, but blocks 54 and 62 were occupied until late 2016 or if not latest early 2017. Blk 55 was vacated last as it was a block specifically built for rental purposes and the flats there were rented out under the public rental scheme, unlike the rest of the blocks which previously contained ownership flats. Besides the demolition of the Bedok South Housing Estate, it seems that the Clementi ones would not be spared for interim rental housing as tenders have been called for their demolition. 10. Grey protective scaffolding are beginning to be erected for Rochor Centre Blk 2 (Blue) & Blk 3 (Yellow). Not yet for Blk 1 (Green) & Blk 4 (Red). Kudos to ‘elevatorfilmersingapore’ for the detailed updates. These will help towards preserving a particular precinct’s history as such old buildings/landmarks are gone & often forgotten. Now that Cross Island MRT line is in its planning stages, I wonder if certain acquired land plots here are reserved for construction of future stations eg Clementi or West Coast? 11. Metal Gates have been installed at staircase entry points at Clementi Blk 321-323. Lifts are still in use. Deduced from a quick glance that the units of the 3 flats were largely vacated. simplyatrocious By what month do you think the Clementi site would be vacated? From what I have heard the metal gates at the stairwells have been assembled at least in early May or before and observed that there are roughly 5-6 units left per block as of mid-May. Based on what I have observed, the gap between the first block and last block in an estate to be locked up can vary by as much as 2 months. Eg. Boon Lay Drive blocks, the first block locked in April 2017 and the last block locked in June 2017. As this estate is rather small (3 blocks only), I think the difference should be about 1 month. I predict that all 3 blocks should be locked up by July, however, I’m not sure. The lift certificate expiry is on 30 September 2018, that means the blocks will definitely be vacated and locked up by then, but I do not think it would take that long to be vacated. As of now, Bedok South estate already had all blocks locked up since rental lease expired as it seems no delays occur during clearance of rental tenants, when I went in mid-May all blocks were locked already. http://www.leonghinseng.com.sg/demolition-works/ Snapshots of some demolished sites (SERS & others) by a demolition works company. The start date of demolition took years after years. Why is it that so? Certain sites are not required for immediate redevelopment by the State just yet, or perhaps require further planning before being launched for new developments. SERS flats might be designated as rental units for certain target groups in the interim period. Eg the instance of AMK Blk 246-249 mentioned in earlier remarks. Similarly for SERS flats like Toa Payoh Lor 6, Havelock Rd, Dover, Bedok South & Sims Drive. In the case of AMK & Sims Drive sites, only some of the acquired flats were torn down first..ie the whole SERS plot is redeveloped in phases. Unlike the public sector, private properties being acquired via collective sales will see a tighter time frame from acquisition by private developer to being vacated to demolition to new project launches. Raintree Gardens was a former HUDC housing estate at Potong Pasir. The 175-unit estate was collectively sold for $334 million in 2016, and demolition began in March 2018. The site was largely cleared by mid 2018. New private residential development (729 units) The Tre Ver will stand in its place by the mid 2020’s. any of the projects still accessible? Meaning all vacated but not yet locked up and still accessible by public? Bedok south hdb flats (Blk 46-50). All residents vacated already, gates at stairwells locked up very recently, but the blocks with lifts at the stairwells (Blk 47-50) are still accessible as the lifts have yet to be turned off, so they can still be ‘tresspassed’. Clementi Avenue 5 flats (Blk 321-323). Even though it is not fully vacated, only about 5% of the residents remain. Metal gates have been assembled at the stairwells and they would be locked as soon as all of the residents vacate, probably latest by July this year. Only about 2 units or so can be seen lighted up in each block. However, if you walk past each unit, you would notice a few more are still occupied. I would say about 5-6 units left per block as of mid May. Most of the residents left by March since replacement flats were ready in October/ November 2017. Thanks, have added Bedok South Avenue 3 en-bloc flats to the list. Consider adding Blk 321 – 323 Clementi. All blocks to be locked up very soon. The former Shunfu Ville was fully cleared by now. The new ‘Jadescape’ private condo (yielding over 1200 units) will be completed on this site from 2023. This plot of land was part of the Sims Drive SERS site, now situated between Sims Urban Oasis & the remaining SERS blocks (54/55/56/62). It’s currently part grass patch, part carpark. May I know when you visited the blk 246-252 ang mo kio sers site? Also, then what blocks were open and were the lifts still working? I last visited them in 2016. The carpark and void decks of the flats were accessible, not sure about the lifts as the stairways were locked up. Was referring to visit before the flats were rented out under irh. So then what was the state? Any blocks were accessible then with lifts working? Void decks were still accessible then (I was looking for the bird singing ceiling bars and labels – see photos at https://remembersingapore.org/2016/09/29/pastimes-of-the-past-bird-singing/), but the lift lobbies were caged up. Have added some photos and info of Clementi Ave 5 Block 321-323. As of this date Blk 322 is half locked up & lift has been shutted off. Notice of: “State Property, Do Not Trepass” pasted @ staircase. Blks 321 & 323 are still accessible. Blk 323 even have a Chinese funeral wake @ its void deck! What do you mean by is in half locked up? Like the stairwell further away from the lift closed while the one opposite the lift open? As of today I went Blk 322 has both of its stairwell gates closed already. Btw now Sims Drive site isn’t having hoardings erected and preparing for demolition. Boon Lay Drive has all of its residential blocks razed to the ground, leaving only the MSCP left to demolish. Eunosville is being readied for demolition. The center block is already covered up in blue. Normanton Park might be emptied in coming months. Only saw 2-3 cars in its MSCP. does anyone know if the blk 26 sin ming rental flats would be relocated and demolished? it seems the old car workshops in the industrial sector A are all demolished now. Btw for blk 29, 31, and 33 Havelock road when did you visit the estate? I assume you did so in early 2013, and Blk 29 was still open but blk 31 and 33 closed? You have made 2 mistakes in this article. Firstly as stated earlier, The Boon Lay Drive blocks estate was only fully locked up in June 2017, if you do not include the MSCP, so the estate was not vacated by early 2017. Blk 321-323 Clementi was completed in 1977 despite having their lease year in 1978, please edit the description that they are already 41 years old. Information on why Blk 55 was not part of the SERS programme. Blk 55 was initially emptied after the sers announcement in 2005 and emptied in around 2007/8. But they were brought back to life again in 2009/2010 when they last minute decided to keep those blocks as mentioned earlier for interim use and since Blk 55 was sandwiched in between Blk 54 and Blk 56. Those flats were rented out under the public rental scheme to Low income families so essentially no units in those flats are ownership flats, all 1 room government rental flats. As such they cannot receive SERS. Since there was a shortage of flats to relocate the residents at first, they were left open for a bit longer, but eventually had to be emptied. Blk 55 was fully closed on 28 March 2018, marking the full closure of the sers estate. Soon, the remaining blocks that was spared from the initial demolition round would be demolished and these flats would be gone forever.﻿ Blk 59 was presumably built with similar specifications to blk 55 and was definitely a rental block, but as someone mentioned earlier they got demolished way earlier in the 1980s (c. 1988). In the case of blk 54 and 62 kept for IRH and the rest of the blocks in that estate as well, they were previously ownership blocks so they could receive SERS. Good details on the Clementi Ave 5 and Boon Lay Drive en-bloc flats. Have amended accordingly. The rental block that was demolished in the 80’s was Blk 58. Blk 59 was placed on SERS and demolished during late ’13 – early ’14. Oops, now I realised I typed 59 instead of 58… sorry. Singapore historical maps from 1988 still show the block existed but the 1991 version did not. I would think blk 58 probably completed demolition in around 1988 then. 2) Blk 55 lifespan was only extended because of the above reasons, so that means that perhaps in the first round of getting the residents to vacate there was no shortage of available rental units, but it was only in the second round of getting them to vacate (When the IRH lease of blk 54 and 62 expired, so they had to leave as well so the estate can be demolished together) that there was a shortage of units, so they were only closed on 28 March 2018 while Blk 54 and 62 was closed on December 2016. The Clementi blk 405 and 406 were not vacated in between and refilled back as their lifespan was not extended specifically because of the remaining blocks being reserved for IRH just like blk 55. Blk 55 was also decided to be demolished together with the rest because it would be more ethical, because it would be cheaper to demolish blk 54-56, and 62 together, and that even if they demolish blk 55 and 56 (Because blk 56 was not used for IRH and just left to rot, and not demolished due to the same reasons as blk 55), the land could not be used easily with blk 54 taking up part of the same plot of the land. Even if they redevelop blk 55 and 56 into something new, that would mean the plot of land blk 54 is occupying could only fit a very small building after it is demolished when its IRH lease runs out, unless if the building can extend into blk 62’s plot of land because the land in blk 55 and 56 has been used up. But that would make the building look very weird, and developers may not like it, or that they would not like to buy just the area occupying blk 54, or 55 and 56 together because the land area is too little, so HDB would rather sell Blk 54-56 or blk 54-56 and 62 to one developer. I say Blk 62 (the later addition to the estate in around 1978, as with blk 54-60 which was completed in 1975/1976) could possibly be sold separately to another developer because it takes up quite a large area. As of January 2019 Blk 321 And 323 Clementi the blocks are still open… wonder what is making the residents take so Long to vacate. New flats Cityvue @ Henderson at the junction of Henderson Rd and Tiong Bahru Rd. Previously Henderson Heights, and from what I could make out from the Google Maps street view photos taken in 2008. The block closest to Henderson Rd was Blk 96. I would also like additional information, if anyone has any, of Blk 439 and Blk 440 of Clementi Ave 3. My grandmother used to live there. Both blocks were demolished around the turn of the millennium, and their residents moved to the new flats Blk 453-462 next to the swimming pool. The plot of land Blk 439 and Blk 440 were sitting on was left vacant, and then the temporary bus interchange was built on it while Clementi Mall (and the aircon bus interchange inside it) were being constructed. Blk 439 & Blk 440 should have been demolished at around 2002, along with Blk 360 & 361 (old rental blocks which were replaced by Blks 366 & 367 by 2001/2?). Residents of Blks 439 & 440, along with those from Blks 311-314 (affected by SERS at around late 90’s-beginning 2000’s, were relocated to Blks 454-460 in earlier 2000’s decade. Keep in mind the temporary bus interchange sat on the vacated plot of former Blks 439 & 440 during later years of the 2000’s decade (from 2006). The temporary bus interchange was demolished in around 2013 after the current bus interchange (part of Clementi Mall & Blks 441A/B was completed by 2011/2. The vacated plot was then developed into the the current replacement flats for residents of the old Blk 321-323 from 2013-2017. PS: I’d pieced together the chain of milestones listed above from various online sources (eg HDB SERS website)/blogs, esp timepoints up till 2005. After 2005 I’d passed by the area occasionally to witness the changes over time. That is why blogs like this one plays an important role in documenting & organizing memories & other changes over time into a relatable & retrievable record for purpose of future reference. Tenders are currently being awarded for the remaining blocks at sims drive. Expecting demolition to start by the end of 2019. The site of the former Blk 20, Upper Boon Keng Road will be redeveloped into Kallang Breeze, comprising of Blks 20A & 20B (both about 23 floors high), as well as Blk 21-23 (ancillary facilities i.e. MSCP & Pavillion etc). Part of the Feb 2019 batch of BTO launches. https://www.straitstimes.com/singapore/housing/housing-the-old-days-in-print Apr 2017 ST article which features photos of demolished estates of old.